The story comes from The National Post, and has the headline, "Atheism a creed that needs the same religious protections of Christianity and Islam: Ontario Human Rights Tribunal." The whole thing comes up because of an odd, although probably not unique, policy by the Niagara School District, wherein all fifth graders were offered Gideon Bibles as long as they got parental consent to receive one. Well, the "parental consent" clause seemed to cover any possible charges of proselytization in public schools -- until René Chouinard, of Grimsby, Ontario, who is a self-described secular humanist, offered to provide copies of Just Pretend: A Freethought Book for Children to fifth graders, and the school board told him he couldn't do that. Chouinard complained to the Ontario Human Rights Tribunal, and the school district, in a rather frantic attempt to cover their asses, changed their policy -- to allow the distribution of other religious texts, "so long as the religion is included in the Ontario Multifaith Information Manual" and "the text in question qualifies as a sacred text." Now, what exactly does that mean? Is there some kind of sacredometer that measures the sacredness of a text? Does the Egyptian Book of the Dead, for example, count as sufficiently sacred? I mean, no one much worships Thoth and Anubis any more, far as I can tell. And the problem, of course, is that this specifically eliminates consideration of any secular texts, since they are by definition not sacred, given that atheism is a religion in the same sense that not collecting stamps is a hobby. Fortunately -- in one way, at least, and I'll get to that in a moment -- the Ontario Human Rights Tribunal agreed with Chouinard. On August 13, they issued a ruling stating that the policy, even as it was modified, was discriminatory. "The policy was discriminatory because its definition of acceptable materials violated substantive equality by excluding the kinds of materials central to many creeds," the ruling, in part, reads. "The restriction to sacred or foundational texts excludes some creeds and is therefore discriminatory." Well, right on, and I agree with that... but. Here's the problem. Is it the job of the school to get involved in religious instruction at all, beyond teaching students about world religions as a lens into history and culture? It seems to me that this is exchanging one problem for another, and saddling schools with yet another responsibility, namely, making sure that all kids get access to the sacred (or not-so-sacred, depending on the reading that pops up on the sacredometer) text that they, and their parents, want. But isn't this the job of the parents? I mean, fer cryin' in the sink, if my fifth grade kid had wanted a bible, I'd have gotten him a bible, not waited for the school to hand him a freebie based on some kind of weird sacred-text-distribution policy. Same goes for The Book of Mormon, the Qu'ran, the Talmud, the Egyptian Book of the Dead, or The God Delusion. Honestly, in fifth grade my sons were more interested in reading Animorphs and playing with Lego, but hey, kids are different, and maybe there are fifth graders out there who are desperate to delve into sacred texts. I dunno. Anyhow, that's the current news from our neighbors to the north, and another shout-out to my bud Andrew for turning me on to the story. It's nice to have folks send me leads, and this was an especially good one. 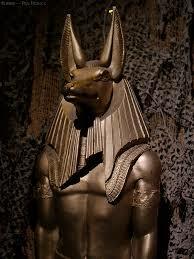 I'll make sure and say a good word to Anubis in Andrew's favor, next time I'm in the temple. You know how it goes. How you continue to post, day after day, and not end up raising your arms in the air, fists clenched in rage, throwing your head back, and screaming a slew of expletives that would make the San Quentin warden blush is beyond me. Beware, you have offended the worshipers of Thoth.